MORGANTOWN, W.Va. (AP) — A new book on a 1968 explosion that killed 78 West Virginia coal miners concludes the tragedy that led to passage of the federal Coal Mine Health and Safety Act was both preventable and poorly investigated. She found records suggesting the victims might have escaped if a safety alarm on a ventilation fan had worked. But it was disabled for as long as 90 minutes before the blast. Stewart says the memo could have helped the widows who later sued Consolidation Coal Co. They settled their claims for just $10,000 apiece. Only 21 men escaped. Fifty-nine bodies were removed during the nine-year recovery effort, but 19 remain entombed. Some readers may recall that Bonnie did a story with my buddy former Gazette reporter Scott Finn about that memo. It’s still available online here. While I’m mentioning books, a much-belated recommendation that Coal Tattoo readers might want to check out Mike Guillerman’s volume, Face Boss: The Memoir of a Western Kentucky Coal Miner. I am thrilled to know that Bonnie Stewart’s book, “No. 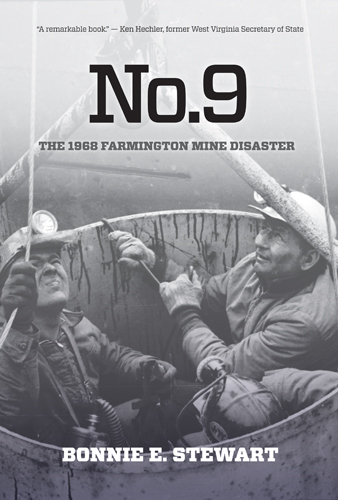 9: The 1968 Farmington Mine Disaster”, will soon be available for purchase. This mine disaster led to the most significant mine safety laws up the date of 1969. The book will contribute greatly to the literature related to mine safety and mine safety history. The study and research for this book is long overdue. Many thanks to Bonnie Stewart and the West Virginia University Press!